Symphony Suites is a new condominium developed by EL Development Pte Ltd. As one of the latest development in Singapore, Symphony Suites is expected as the currently hot project for investment! Symphony Suites not only brings the convenient living but also offers a sweet home with the wonderful price. EL Development Pte Ltd first started as a small business unit within one of Singapore's leading builders, Evan Lim & Co. Pte Ltd. In late 2006, the company achieved success in its first high end residential project, Rhapsody on Mount Elizabeth, with the project selling out in merely 6 weeks. In early 2007, the company launched its first industrial development, Nordix, a multi-user strata titled terrace factories in Woodlands, and also achieved excellent results with the project sold out within a period of 2 months. As the unit grew in stature, the management decided that there is a need to create a recognizable branding to focus on property segment. Hence, the business unit, EL Development Pte Ltd was officially incepted as a separate company and property arm of Evan Lim Group in June 2007. In late 2007, it acquired its very first government land sale site and developed the definite Rosewood Suites, and its success was replicated in the subsequent launches of Steven Suites, SkySuites and Trivellis. 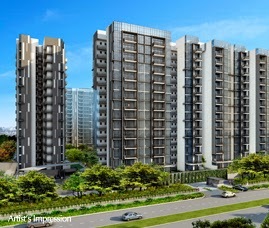 In January 2013, EL Development launched its largest site, La Fiesta, a condominium conveniently located next to Sengkang MRT, which became the talk of the town and the company’s signature product – a high-quality and well-designed home that brings true value and satisfaction to customers. La Fiesta’s 13 remarkable blocks, comprising 810 elegant suites and dual-key apartments, rise amidst lush green landscapes to please any palate. Residing in the heart of Sengkang and linked directly to Compass Point Shopping Centre and Sengkang MRT station, there’s simply no end to life’s pleasure and convenience. 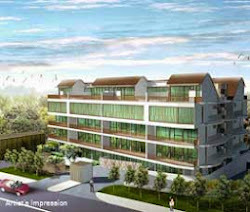 A resort-styled boutique development at the prime district 10, Stevens Suites is a 4-storey + attic freehold development. With just 32 exclusive units, the development is along the junction of Stevens Close and Stevens Road and within minutes walk from the upcoming Stevens MRT station. 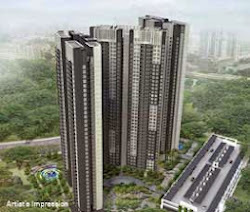 Housing 888 3, 4 and 5-room units in three 40-storey towers, Trivelis is a development that stands out from the crowd in the mature estate of Clementi. With the Clementi MRT Station and Bus Interchange just a five-minute walk from home, and easy access to the AYE and PIE, work, live, study, play are as convenient as it gets at Trivelis. For more information, please see Symphony Suites' details & location! Hi! I am interested in Symphony Suites, please contact me. Yes, I would like to receive information/updates via Call/SMS/Whatsapp/Email for future residential/ commercial projects by EL Development Pte Ltd.
Symphony Suites - The one and only four seasons living! © Copyright 2019 Symphony Suites . All rights reserved.